TRAVERSE CITY, Michigan -- Volkswagen may build a small car or an SUV at its new U.S. plant in Tennessee, in addition to the mid-sized sedan that goes into production there next year. VW is considering options for the plant's second product even before it has begun building its first, Tom Loafman, the company's purchasing director, said here last week at the CAR Management Briefing Seminars. Loafman also said the plant's large Chattanooga site is in the running for a new engine plant Volkswagen hopes to build in North America. 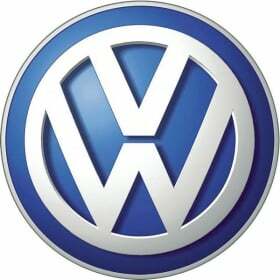 The engine plant also could go to a separate greenfield site or to VW's production complex in Puebla, Mexico, he said. The engine plant would supply the Chattanooga and Puebla plants. Volkswagen is counting on its $1 billion Chattanooga venture to bring down the costs of its U.S. products and give it capacity to reach 800,000 VW brand sales in the United States by 2018. Last year it sold 213,454 VW brand vehicles. Volkswagen expects the new mid-sized sedan to compete more directly against high-volume family sedans such as the Honda Accord and Nissan Altima. "We haven't been able to compete well in that segment," Loafman said. VW's strategy calls for Chattanooga to turn out cars at a much lower cost than mid-sized Passats imported from Europe. While the Passat reaches U.S. consumers at a price of about $27,000, the rival Accord sells for below $20,000. The price difference is partly the result of a dollar-euro exchange rate that pushes the U.S. price higher. That has prompted Loafman and his staff to source much of the new vehicle's content in North America. Loafman said that the sedan is about 63 percent U.S.-sourced so far and that a fifth of the suppliers in the project are new to Volkswagen.